It is time once again for the Go for Greece Training Group blog hop. Please visit the other blogs in this hop around the world and see the amazing projects on which everyone else has been working. 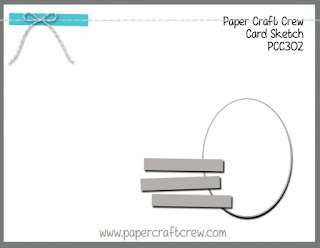 Soon, I will be sharing sneak peeks of the holiday catalog. 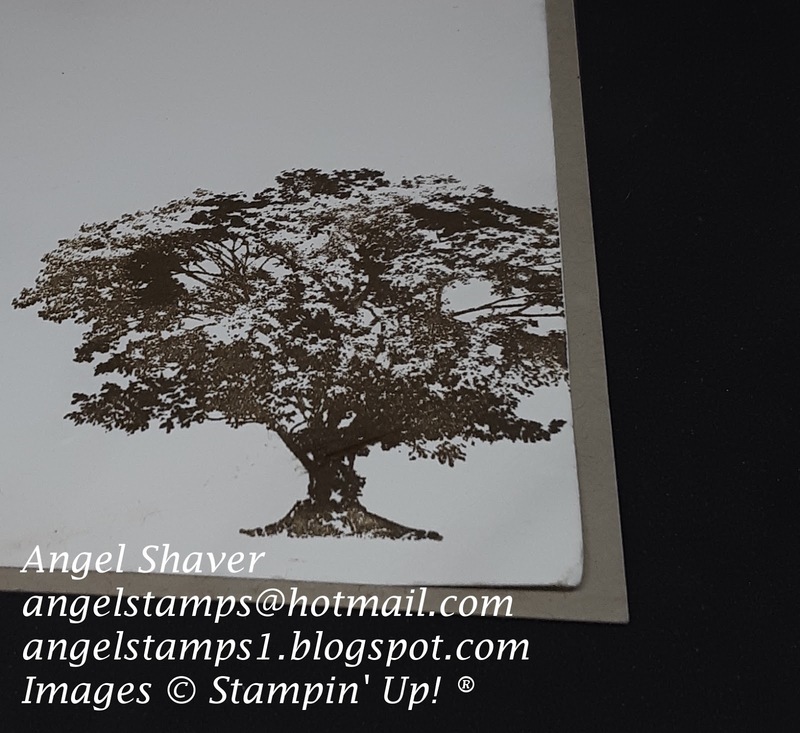 But, right now I have been playing with the Rooted in Nature stamp set and other elements from the Nature's Poem Suite. I chose to stay with colors all very close together on the color wheel for this project. 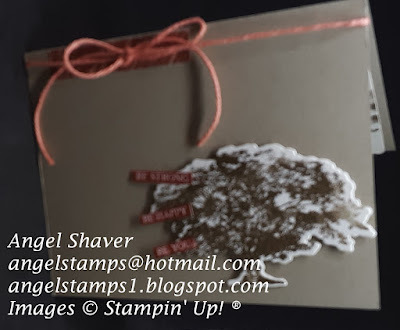 I used the neutral/basic colors for the cardstock and tree stamp. The minimal splashes of color (Grapefruit Grove and Cajun Craze) were used with the sentiment, DSP, and baker's twine. Make sure you head on over to PCC302 to see the inspiration cards by the design team and other creative entries. Make sure you also keep hopping around the Go for Greece Blog Hop to visit the other creative demonstrators blogs from around the world. Bonus Days are here again! For every $50 purchase (before tax and shipping) you make August 1-31, you will receive a coupon code that can be used for $5 off your purchase in September. 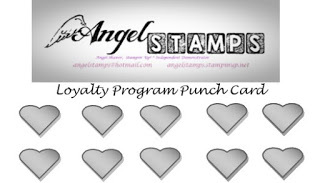 This is in addition to the punch you get on my loyalty card for each $50 purchase. 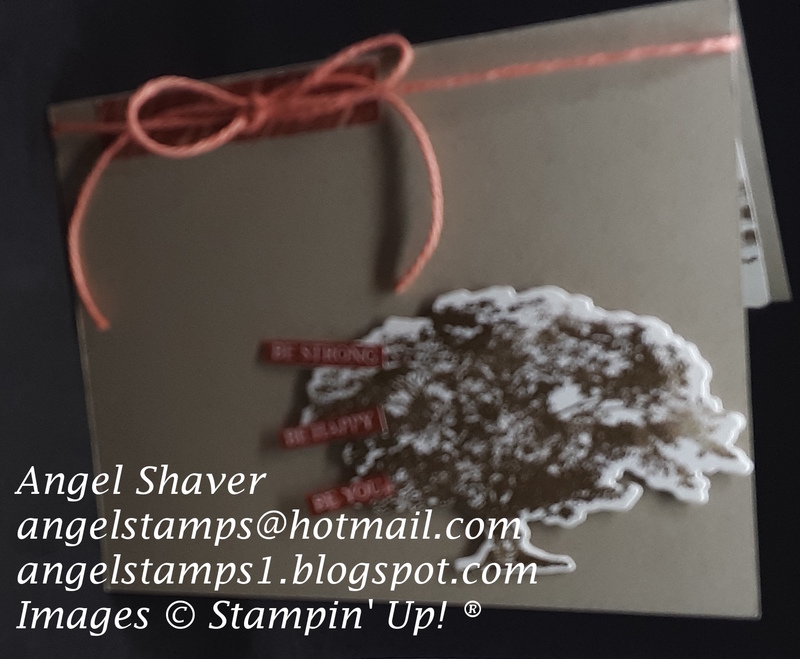 Lovely card, Angel! You can't go wrong with that beautiful stamp set. You did a lovely job with the sketch! So beautiful. 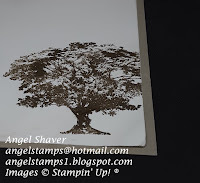 I love that beautiful big tree and you've made a beautiful card! Hi Angel! I like your interpretation of the sketch challenge! Hello, Angel, nice to meet you, I have not blogged along with you before, it is nice to meet you. 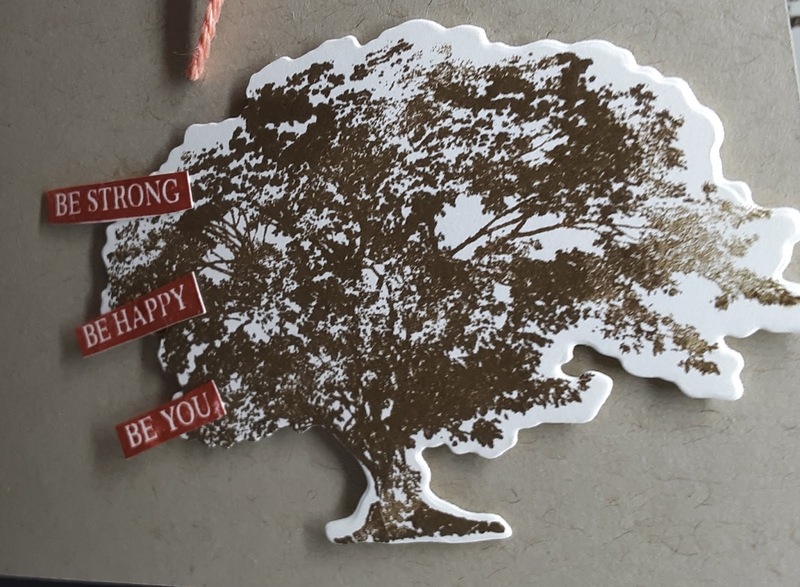 I like how you placed the Tree with the three small sentiments on top, there is a lot of blank space on your card which really works with that tree. The Tree is such a statement on it’s own but then you add such a powerful sentiment it gives a Wow factor. Lovely card. I must say that is one of my favourite sets from the Annual Catalogue.